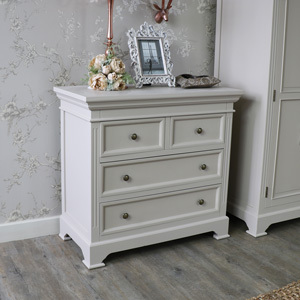 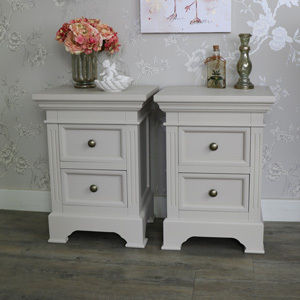 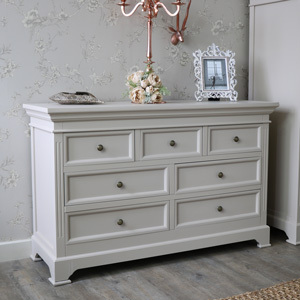 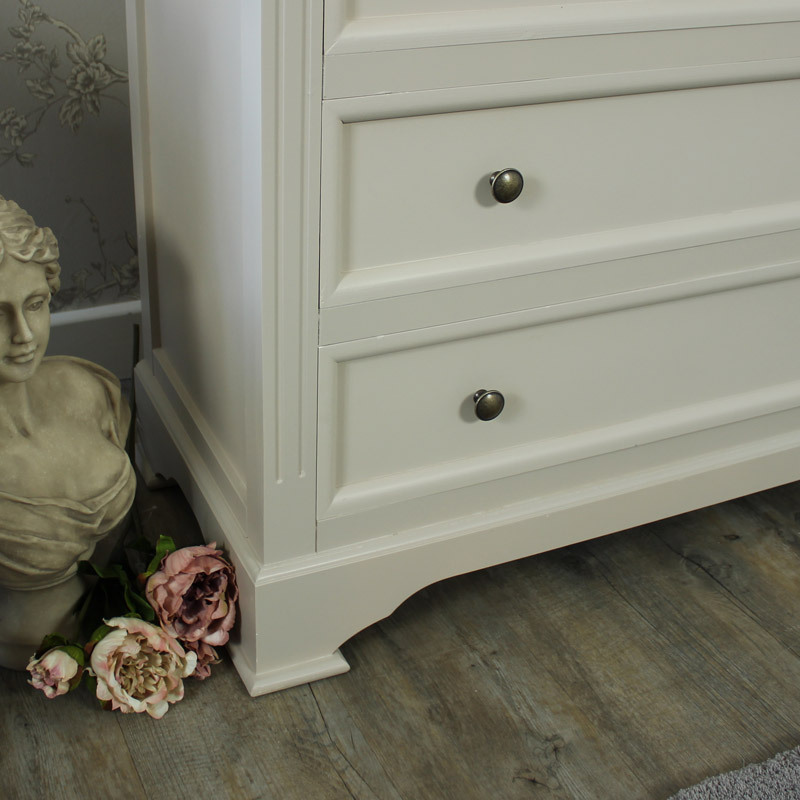 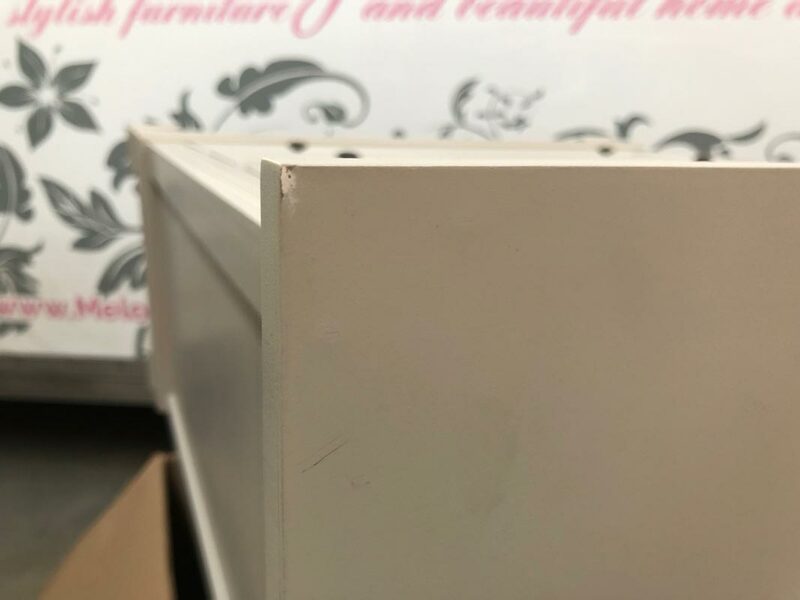 This stylish chest of drawers comes from our Daventry Taupe-Grey Range. 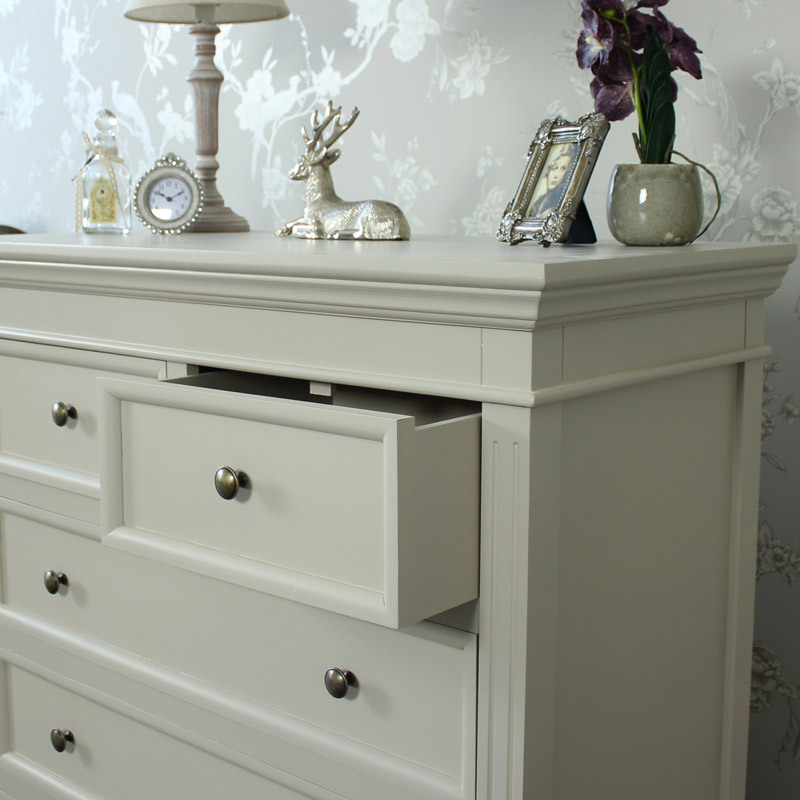 Offering the perfect storage solution for your bedroom with 5 drawers allowing you to safely store your clothes. 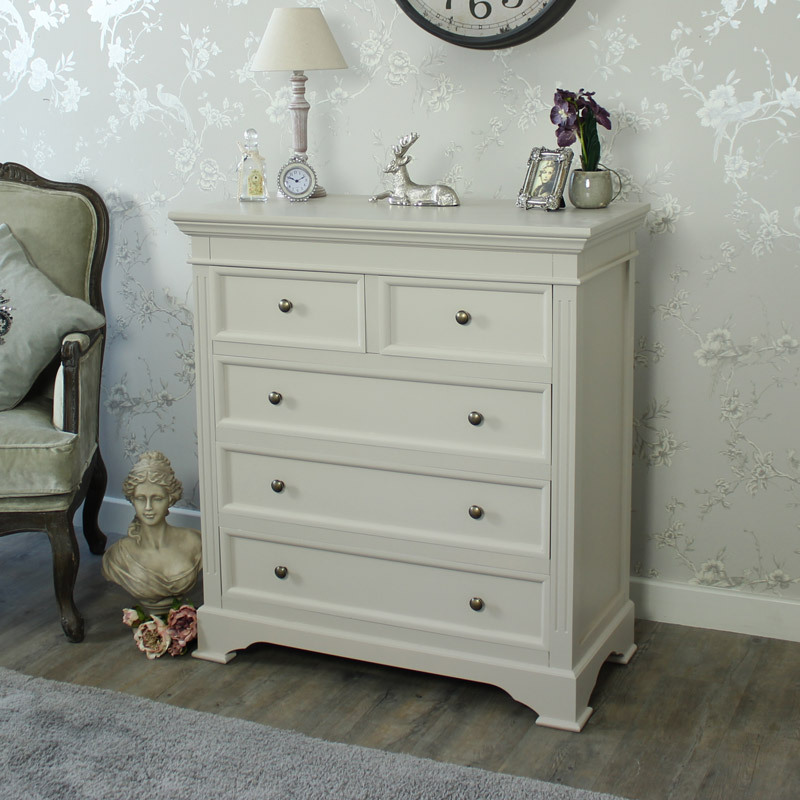 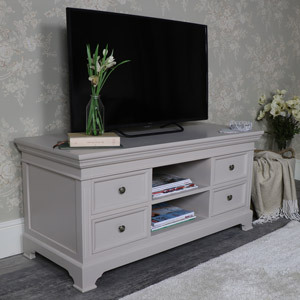 From the Daventry range, this 5 drawer chest is made from a sturdy solid wood and finished in a grey painted finish. 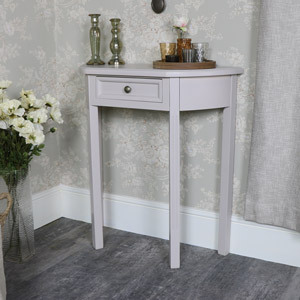 The colour is a Taupe Grey. 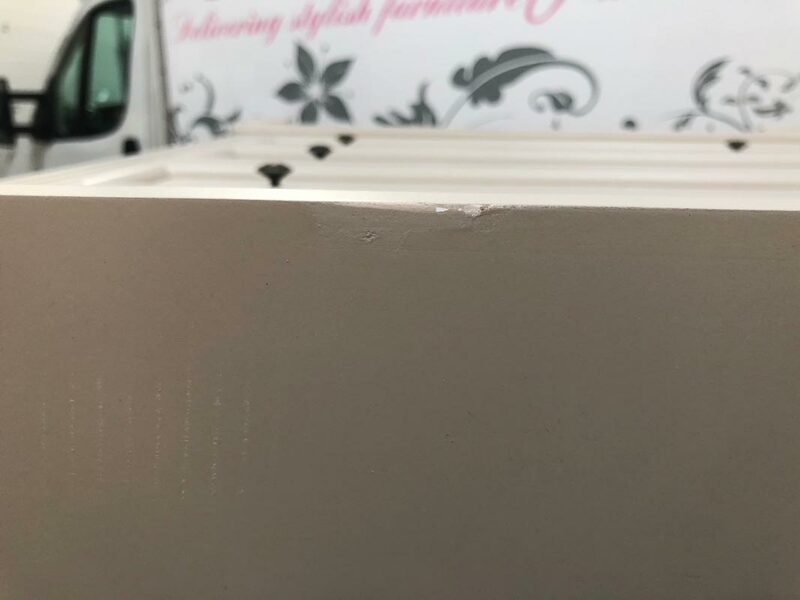 There are dark button handles. 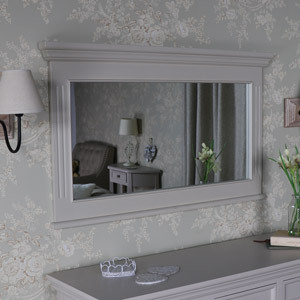 There are other items in this range, and multiple purchases may allow us to consider discounts. 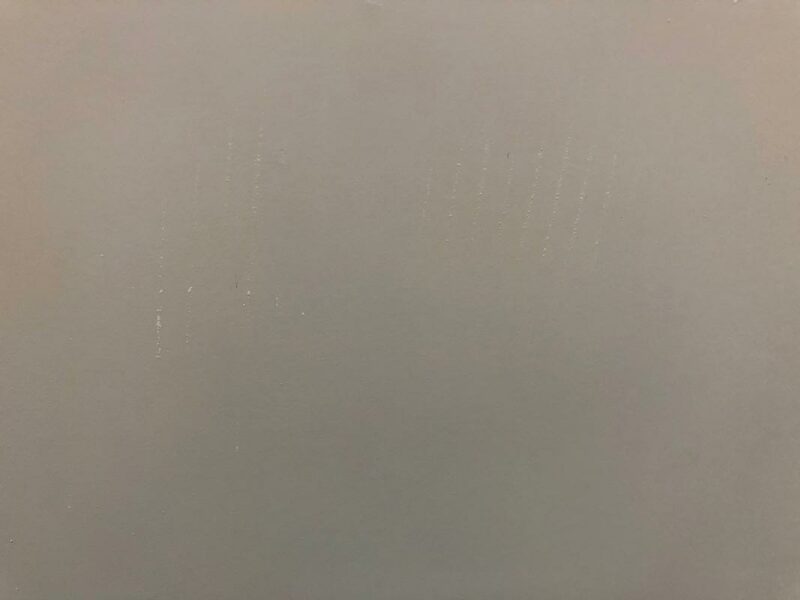 The dimensions are 90 cm x 98 cm x 42 cm (width x height x depth).